Swatches of Zoya Aggie – See Her Here! 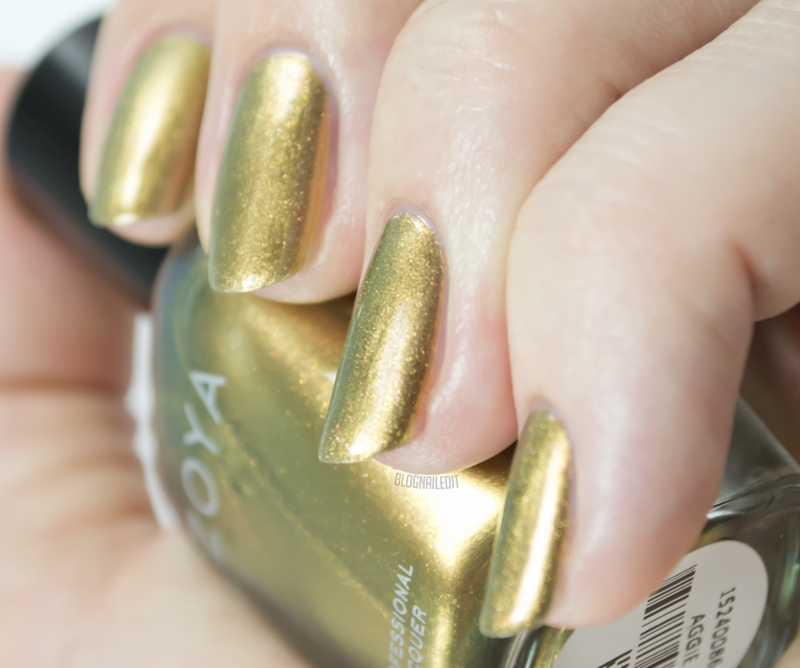 Zoya Nail Polish in Aggie is a gold holo flip liquid metal with bronze micro glitter. Sheer enough for layering with 1 coat or fully opaque in 3 coats! Below are swatches of Zoya Aggie. We will be adding to this as more blogger swatches come in with a variety of skin tones! You can see more of Zoya Aggie on her Shade Spotlight as more swatches come in! Be sure to see the full Flair collection if you fell in love with Aggie!